There's a reason we don't generally complain about minor upgrades to aging Porsche platforms. 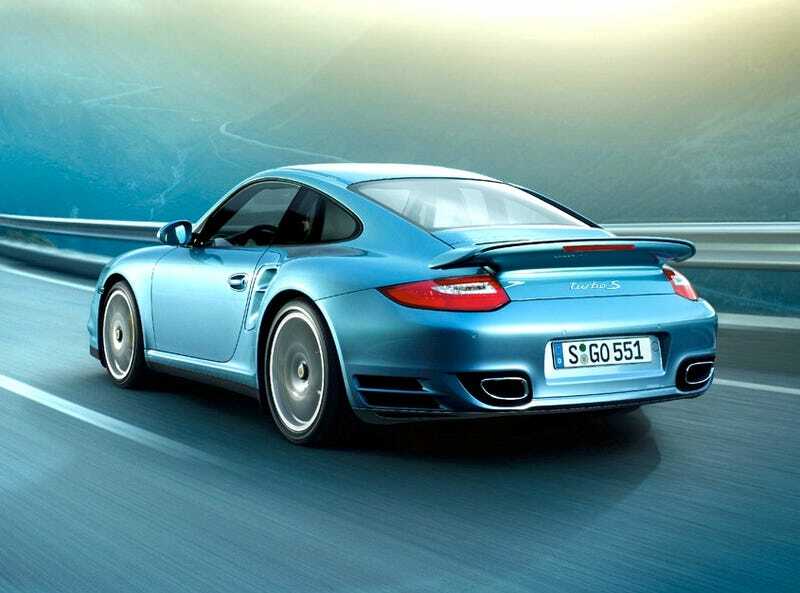 In the case of the facelifted 997, it's the top-of-the-911-line 530 HP 2011 Porsche 911 Turbo S.
Don't call the 997 platform old unless you know another seven-year-old car capable of hitting 62 MPH in 3.3 seconds from a cold start, 196 MPH at the top end and can still look so good doing it. Thrown into the mix Porsche's Ceramic Composite Brakes, seven-speed PDK double-clutch gearbox, 19-inch RS Spyder wheels and a new leather interior to hold your bottom as you criss-cross poorly supervised backroads. Oh, and it's like, efficient or something. But who cares about that? The 2011 911 Turbo S Coupe and Cabriolet will be available in May, 2010 with an MSRP of $159,100 and $170,200 respectively.